Hey Tampa Bay, Alex here to tell you all that InterContinental has a new Executive Chef. 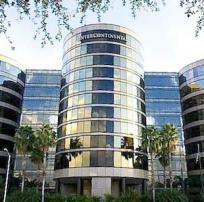 The InterContinental Tampa recently named Alexander Reyes as the new e xecutive chef. In this position, Chef Reyes’s responsibilities include overseeing the daily operations at the award-winning Shula’s Steak House along with the properties other food and beverage outlets. Chef Reyes will also be responsible for providing food and beverage offerings to InterContinental Tampa’s 17,000 square feet of meeting space for group meetings, corporate parties, local catering events, and special occasions. Chef Reyes has a history of working at luxury resorts and restaurants and came to the InterContinental Tampa from his most recent position as executive sous chef of the AAA Four-Diamond Loews Portofino Bay Hotel in Orlando. With more than 15 years in the industry, Chef Reyes has also honed his craft at the Hyatt Regency Orlando International and Hyatt Regency Grand Cypress and at well-known restaurants including Annabelle’s in Naples, Florida as well as Norman’s in Coral Gables, Florida. Chef Reyes is a native of Havana, Cuba, moving to the United States when he was young. He was raised in the Orlando area and graduated with a degree in culinary arts from the Florida Culinary Institute in West Palm Beach. Congratulations Chef Reyes! We wish you the best of luck. That&apos;s all for now, but stay tuned in for more updates in Tampa Bay dining! Tampa Bay, head on over to InterContinental Tampa and enjoy a delicious meal at Shula’s Steak House or plan your next business meeting or party here to get a taste of some great food inspired by a new chef. Don’t forget, they cater too! Please check back with us throughout the week for updates on Tampa Bay Restaurants and Tampa Bay Hotels.